For years, drivers in the trucking industry have had to contend with government regulators as well as powerful corporate interests who have no compunction about making rules that largely favor companies. Anyone who works in the trucking industry has at one time or another, dealt with a less than ethical employer, or at least knows another driver who has. Unfortunately, these rules not only affect driver’s wallets, but also driver safety—as well as the safety of other drivers on the road. Namely, here we’re talking about the break laws being changed. New Federal Legislation on Breaks? An article published Thursday in the Mercury News took a closer look at federal legislation, currently under consideration, that could have wide-ranging effects on the breaks truck drivers statewide would be entitled to. Under current state law, California’s truck drivers are entitled to 30-minute breaks for every five hours of work, as well as a 10-minute break for every four hours of work. It’s worth noting that California truckers are entitled to more breaks than other drivers in most other states. I’ve written about trucker meal & rest breaks in the past. However, legislation written by U.S. Congressman Jeff Denham, a Republican representing California’s 10th Congressional District, currently making its way through Congress, seeks to prevent states from setting their own rules for truck drivers’ hours. Instead, a federal standard would be applied. The federal regulation would allow drivers only a 30-minute rest break after eight hours of driving. Not surprisingly, some of the interests vocally supporting the rule are those that either work for the benefit the trucking companies, or the companies themselves. Speaking to the Mercury News, Joe Rajkovacz, an executive with the Western States Trucking Association bemoaned the California laws that offer more benefits to drivers than other states. “It is beyond belief that we can live in a country where every state you cross can decide when a driver has to take a break, “Rajkovacz said, adding that this legislation change is among the top priorities for the trucking industry. So much for states’ rights. While not all California truck drivers may oppose this proposed rule change, it isn’t the only issue facing truckers that should be a cause for concern. A recent year-long investigation by USA Today, found that 1,150 short haul truckers, many of whom are classified as independent contractors operating near the ports of Long Beach and Los Angeles, have filed suits against trucking companies in civil court or with the California Labor Commission. The investigation found that many short-haul truckers lease their rigs from employers, and as a result are leveraged into what can best be described as indentured servitude. Such treatment included forcing drivers to work up to 20 hours per day, withholding payment, and requiring drivers to falsify inspection reports tracking the hours they spent on the road. Some drivers, exhausted and unable to continue with the work, saw their trucks repossessed by the companies when they sought to drive elsewhere. While these disturbing incidents certainly aren’t representative of the experiences of all drivers statewide, there’s no denying that there are a lot of bad actors in positions of power the trucking industry. While drivers who are classified as independent contractors may be subject to different rules regarding payment, they still have rights — as do full time drivers. Unfortunately, a driver who believes he or she has experienced discrimination, been denied rightful rest breaks or pay, or is forced to violate safety regulations, will often hesitate to discuss their situation with a lawyer out of fear of retaliation. But it’s important to remember that employers are not privy to conversations between attorneys and clients. A good attorney should be able to listen to the circumstances of a driver’s work situation, and quickly determine whether or not a case can be filed. In some cases drivers may be entitled to back pay, as well as lost wages, and occasionally, punitive damages are sought. 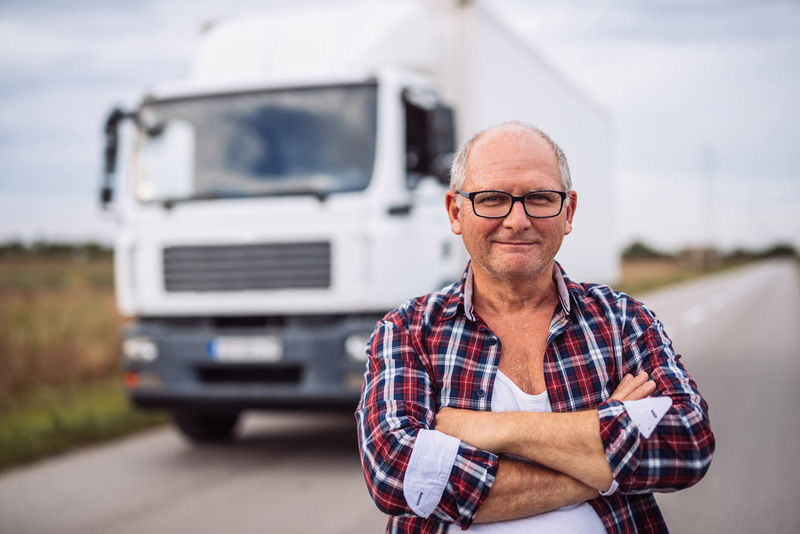 If you are employed as a truck driver and believe your employer has violated your rights as a worker, consult a qualified attorney to consider your options.